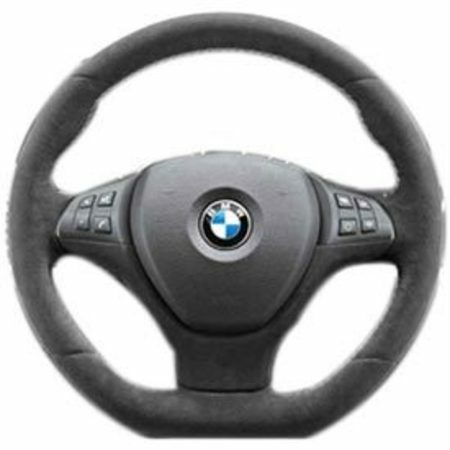 Both the design and function of the BMW Performance Steering Wheel capture the feel and spirit of the racetrack. By giving you access to a wide range of functions without having to take your hands from the wheel, this unique accessory lets you set the pace of every drive. Covered in full Alcantara used to enhance grip in extreme driving situations. Flat bottom to enhance sporty cockpit appearance. White stitching used for unique BMW Performance appearance.Not for vehicles equipped with Lane Departure Warning. Note: Heated steering function will no longer be active after installation. Air bag unit and multifunction buttons are not included but can be carried over from the sport or M sport steering wheels.